Is It Time to Revive the Animated Live-Action Movie? Thrax: Ebola? Let me tell you something about Ebola, baby. Ebola is a case of DANDRUFF compared to me! The Farrelly brothers are dipping into the animation pool. It's colorful and primitive animation. It's pretty good, but that's not really the problem. Surprisingly the problem is Bill Murray and live action stuff. Frank Detomello is a slob. He eats a hard boiled egg covered with a deadly germ. 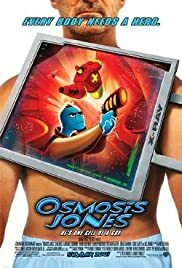 And we travel inside Frank to see white blood cell policeman Osmosis Jones (Chris Rock) battle evil virus Thrax (Laurence Fishburne) with the help of Drix (David Hyde Pierce). Bill Murray looks awful as he gets sicker and sicker. I have to ask if we're supposed to laugh at Bill? It's just gross. Not the gross out humor that the Farrellys are known for. It isn't funny at all. The animated sections are much better. In fact I prefer they cut out the live action stuff. 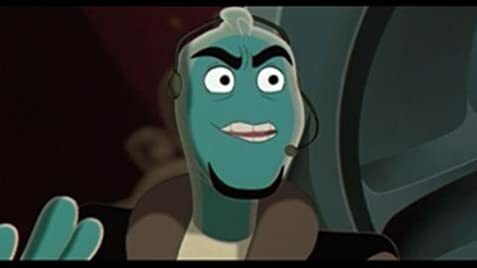 Chris Rock does a good voice. He has good chemistry with David Hyde Pierce's Drix. They need a few more jokes, but I like the City of Frank.